The technology leaders of today’s most successful companies demand improved performance, scalability, agile process adoption, greater change control, improved system continuity, better risk management, and more effective monitoring—all while reducing costs and overhead—and never jeopardizing security. In the not-so-distant past this laundry list of demands would have been nearly impossible or come at a staggering cost. With today’s advances in cloud platforms, however, these requisites are not only possible but also apparent via migration to the cloud. To increase performance and lower costs, world-class companies have begun migrating their entire data ecosystems from an “on-premise” model, where data infrastructure is physically housed either within the company or a colocation, to a cloud architecture model, where the data and computing is in the cloud. Cloud services are developed and offered by companies such as Amazon Web Services (AWS), Google Cloud Platform (GCP) and Microsoft Azure. 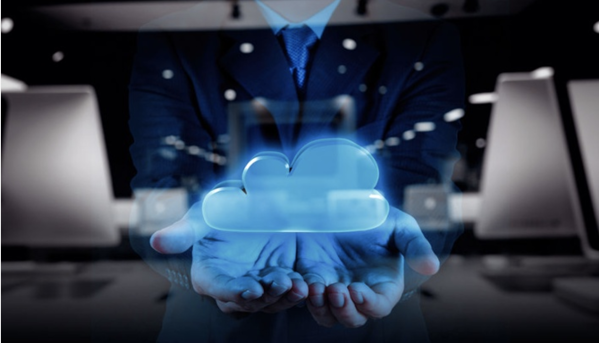 The cloud model offers many advantages ranging from efficiency to scalability, but in an era where many organizations are only moving some of their data to the cloud, it’s a good time to discuss strategies to ensure that full benefits of the cloud are being realized. While some organizations have completed a full migration to the cloud, others feel more comfortable using a hybrid model in which sensitive data, such as personal, medical or financial information, is still housed on-premise, while everything else is on the cloud. There is a persistent myth that sensitive information will be more secure if it’s physically housed within a company, or behind the corporate firewall. However, we still see major hacks occur in on-premise scenarios while evidence shows housing your data on the cloud is at least as – if not more – secure than on-premise. Some larger corporations have begun to realize this, which is helping to highlight that the cloud can be trusted with sensitive information. With a hybrid model, it is also difficult to realize the full financial benefits of a migration since you will still be paying for data center space and services. Many leading companies are realizing with a full migration, you can get the financial benefits of the cloud while still managing vulnerabilities in security. Fear of change comes in many forms throughout the cloud adoption process. Some companies perform ‘lift-and-shift’ migrations, where they move existing processes and software to the cloud, but put it in an environment very similar to the previous one. The benefits here are reduced cost and easier maintainability. Forward-thinking innovative companies realize the migration to the cloud is an opportunity to reinvent their entire data ecosystem. By removing legacy processes, software, infrastructure and even existing business practices, and replacing them with a solution that puts to use all of the latest tools and technologies, you can end up with a set of systems that are highly performant, flexible, gracefully extendable and much more cost-effective. Moreover, businesses can now move beyond barriers forced upon them by their legacy systems to achieve success through new digital business opportunities. It’s not an unreasonable strategy to migrate to the cloud through a two-step process: First, lift and shift existing applications to the cloud, and then once the new environment is proven, re-engineer and optimize those processes to a re-imagined state. This method helps employees adjust to change and learn the new cloud technologies and architectures at their own pace. Once the transition is complete, you can completely reinvent your data ecosystem by going from legacy monolithic systems to a very agile, serverless environment. A key benefit of moving to the cloud is it provides an uninterrupted environment for your data and all related processes to exist. Historically, data science, data analytics, data warehousing, and application transactions have been siloed environments. They have existed as distinct operations that require movement of data in order to complete each function, leading to a secondary problem of having multiple copies of the same data. Once you move to the cloud and organize your data in a data lake, you can complete all necessary functions including transactions, warehousing, analytics, machine learning (ML), and artificial intelligence (AI) applications. This is a breakthrough for landscape simplification and achievable enterprise data governance. Artificial Intelligence and Machine Learning are driving new business success and it is likely they will become core components of many critical business functions. Having all of your data on the cloud provides the opportunity for AI and ML to interact directly with the data to get smarter in real-time. Imagine your business can have AI technologies such as personal assistants like Alexa or Siri; allowing them access to your business data provides huge operational efficiencies and competitive advantages. You can automate processes that would otherwise require humans to go through several manual steps. By combining AI and ML concepts that are already in place, such as voice recognition and natural language processing, with your internal corporate data, you could combine artificial intelligence with business intelligence. And rather than limiting these virtual assistants to general questions such as, “How is the weather?” we can now ask, “What was the impact of the weather on my sales yesterday?” The path to these successes is to build your new modern data ecosystem with these transformative technologies on the cloud. For companies that have not yet begun their journey to the cloud, there is really no better time than now, and for those who have – it may be a good time to ensure you are taking advantage of all its benefits to the full extent. With today’s variety of advanced technologies available at your fingertips, every tool becomes a new opportunity to thrive. Author: Joe Caserta (originally published here). 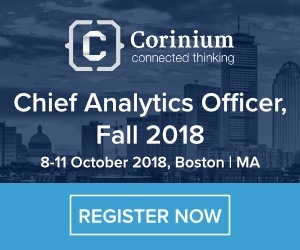 Caserta will be joining us at Chief Analytics Officer, Fall in Boston from October 8-11. Find out more and secure your pass today.